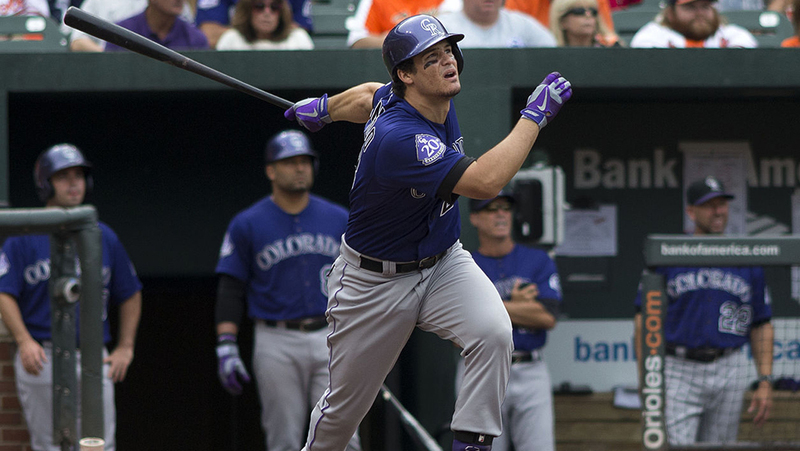 The Epistemology of Hitting; or, What Constitutes a Fact about Nolan Arenado? I would like to begin this disquisition by assuring you that it is in fact about hitting. More specifically, it is about Nolan Arenado’s hitting. I just want to make that absolutely clear. But first, we have other, rather important matters to discuss. William James thought he had nailed it. The psychologist and philosopher had been wrestling with the conception of truth and knowledge for the majority of his professional life, churning out thousands of pages while installed at his post at Harvard in the 1880s and ‘90s. He found David Hume’s empiricism to be too rigid–a reductive measurement of human reality to be a flow of sensation absent any meaning. While Kant had chipped away at this, James and his contemporary Charles Sanders Peirce sought to integrate the dichotomy of objective and subjective experience. Peirce laid the groundwork for structural linguistics by identifying the construction of meaning through sign and symbol. For our purposes, we must draw attention to that first phrase–”construction of meaning.” Truths are indeed constructed, in that they find their truth both inherently and relatively. James seized on this. Objective truth can only be called objective when it can be verified by external, intersubjectively accrued experience. In other words, objectivity can only be determined by a rigorously subjective process. Think about it this way: an empiricist would declare that only that which we directly, physically experience can be considered objectively true. But very few people deny that Uruguay’s existence is true, even if they have never been to Uruguay. That is because a disparate collection of intersubjective pieces of information–maps, textbooks, news reports–can all confirm the truth of Uruguay’s existence. James’s metaphysics–what he dubbed Pragmatism–solved a series of problems for those trying to understand the nature of truth and reality. Namely, objectivity needn’t be beyond the grasp of those who cannot directly perceive something. Truth is not outside of human comprehension, as some postmodernists would have you believe. Truth may not merely exist within the unseeable forms that Plato spoke so fondly of in the Republic, but rather exists for human beings to live within at all times. This also solves the problem of meaning. Human beings make their own meaning as a result of constructing truth, because truth is what can be usefully applied to their own lives. Knowledge is conditional, and truth is mutable, meaning that it doesn’t have to stay frozen in history. We know things now that people didn’t know 500 years ago. We know things that people didn’t know 10 years ago! Without the ability to propose new truths and verify them against available information, Kyrie Irving might still be able to credibly state that the earth is flat. You can of course see where James’ theory might run into trouble. After all, who determines what information is credible to verify a truth? If a truth is merely determined by its verifiable usefulness to one person, might it not be useless to another? What prevents Jamesian pragmatism from descending into extreme relativism? Thinkers like Bertrand Russell and Jürgen Habermas challenged both Peirce and James along these lines. Habermas in particular has brought forth a conception of “rational consensus,” allowing for a democratic deliberation of the verification of truth. This would push back against the dangerous use of truth as shaped and determined by instruments of power (think Stalin’s propaganda machine), or of broader, more deeply internalized systems (ie. women are fundamentally inferior to men). Indeed, James would likely agree with Habermas. The construction of truth seeks to use the best information available to verify it through application. Explicit or implicit tools of power would inherently prevent that truth from emerging. The purges in Russia in the 1930s are now widely known to be true, whereas Soviet propaganda prevented them from being known at the time of their occurrence. We have available to us rigorous psychological studies and more advanced cultural discourse that serves to challenge internalized sexism. Scientific observation and verification have put notions like Irving’s in their proper place. And yet, can we truly argue against the truthfulness of a flat earth from the perspective of a Homerian thinker? Homer didn’t have access to the tools or ideas available to Pythagoras a few hundred years later. It is true that the earth is a sphere, but it is difficult to argue that Homer was willfully ignorant or in denial of that fact, given his inability to verify it. That something may no longer be true does not mean that it was always the case. We find ourselves caught again between the desire for absolutism and the frustration of relativism. The earth was not actually flat in Homer’s time, which would therefore imply that it was never true to state that it was flat. Plato’s Forms still hold some sway for us, as we desperately run away from the idea that anything can be true and untrue at the same time. Such fears are even more potent in the current political climate, the most powerful person in the world determined to bend reality to his will. We cannot abide the relativism of truth when people’s lives are at stake. So how do we resolve it? Simply, we must acknowledge that absolute truth does indeed exist, but our ability to experience it may come in fits and starts. What we know may shift and reform, like clay in Demi Moore’s hands. Facts may indeed alter. What we must all agree upon, however, is the democratically deliberative, intersubjectively rigorous notion that truths may only give way to others when we can tip the scales of probability in their favor. We can never be perfect in what we know to be true; but we must be possessed of a preponderance of evidence that can comfortably confirm it. And if that is no longer satisfactory, we must find and verify more clues, to get even closer to revealing the mystery of truth. Which brings us to Nolan Arenado. Only a few months ago, we knew that Nolan Arenado was an exceptionally good baseball player. He is most likely the best defensive third baseman since Brooks Robinson. He is dazzlingly entertaining. He is young, and in the prime of his career. We knew that he was a very good hitter, but we also knew that he spent half his career playing in the historical outlier that is Coors Field. Park adjustments were a sabermetric breakthrough, and through tools like OPS+, wRC+ and True Average–which all weight each hitting event to varying degrees, while adjusting for the effects each ballpark created–we could clearly see what a hitter like Arenado was actually doing. Park adjustments have always put a damper on Colorado Rockies players. It’s so much fun to see Arenado launch 83 home runs in two seasons alone. Throw in 91 doubles and triples in that period for good measure. But then we stop ourselves and remember: that thin air makes the ball fly that much farther. That cavernous outfield makes a well struck line drive that much more difficult to defend. We have to bring Arenado’s talent back to earth and remember that he has slashed .320/.374/.609 at home, while only .263/.318/.469 on the road. Those aren’t bad numbers outside of Coors Field, but they aren’t especially elite, either. If we properly weight all of Arenado’s hitting events, adjust for park effects, and scale his efforts to his particular run scoring environment, we come up with a 118 career wRC+. That makes him a pretty good hitter. That ties him for 48th among the 240 hitters who have compiled at least 2,000 plate appearances since 2012. (I use 2012 as my start date for a very Troutian reason; if we slice one year off to begin the sample in Arenado’s rookie season of 2013, he remains tied for 48th). 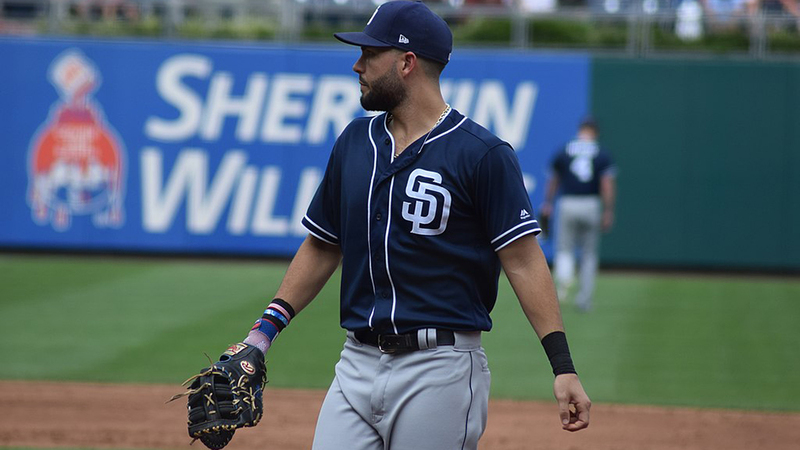 Offensively, Arenado is elite compared to the general population of earth; among baseball players, he is the equal of David Peralta. Then in December 2018, the Baseball Prospectus stats team, led by Jonathan Judge, rolled out Deserved Runs Created Plus, or DRC+. The stat sought to assign the most probable contribution of a hitter to a hitting event. All hitting stats–even the advanced ones like wRC+–assume that a walk, double or home run is entirely the responsibility of a hitter. We intrinsically know that this cannot be true. After all, the quality and handedness of the pitcher can certainly affect the outcome. The ability of a catcher to frame pitches, the dimensions of a particular umpire’s strike zone, the quality of the defenders on each play, and of course the effects of the park itself all influence that outcome. Walks and strikeouts have more to do with a hitter’s skill than singles and triples because they involve fewer participants. Home runs have more to do with a hitter than singles–sometimes even doubles–for similar reasons. DRC+ attempts to isolate all of those effects to give a hitter credit for what he actually contributed on the field. The most jaw-dropping discovery in Judge and his team’s research is the relationship of park effects to a hitter’s performance. DRC+ incorporates single-year park effects, a departure from the multi-year method employed by other park-adjusted metrics. Like Deserved Run Average (DRA)–the pitching metric that employs the same methodology–DRC+ shrinks outliers to prevent the noise that multi-year factors hoped to quiet, while also being nimble enough to react to changes in how a park plays from season to season. Parks do change from one season to another, particularly in the juiced ball years of 2015-’17. Other park-adjusted metrics aren’t equipped to handle those changes. By using a conservative single-year method–and simply making those factors inputs among many within the model, rather than slapping the adjustment on wholesale at the end of the process–DRC+ can more accurately reflect a player’s contribution within various parks. We might wish to react strongly against Judge and his team’s findings. As catcher A.J. Ellis once said of playing the Rockies at Coors, “Let’s try to keep it in the single digits tonight.” Twenty-four seasons of games have proven time and again that Coors Field is a hitter’s paradise, far outside the normal parameters of park effects. How can we look at Judge’s discovery and accept that Coors may not actually have as strong a pull over hitters’ stat lines? He tested his experiment. His findings held up. DRC+ not only better described a hitter’s performance, better predicted the following season’s performance and reliably measured a hitter’s performance from year to year; it did so by convincing margins. Other hitting metrics didn’t even come close. We must then make a decision about whether to accept this as true. We can pull back the curtain and judge the usage of a robust Pearson correlation as a sound verification tool. We can accept this, by registering its acceptance within the statistical community as the strongest technique to measure statistical performance. We can accept that this community has rigorously gone through the process of verifying its own methods through decades and decades of debate. We can then, as reasonable deliberators of evidence, accept DRC+ to be a true reflection of offensive performance. Where does this leave Arenado? Here are the 10 best hitters from 2012- 018 by DRC+, minimum 2,000 plate appearances. Their wRC+ values are included for comparison. Arenado leapfrogs from 48th to seventh. No other hitter in baseball benefits as greatly from the methodology applied by DRC+. Were one to look further down the leaderboard, we would find that other players who make similarly significant jumps are all Rockies players. Much of Arenado, Charlie Blackmon, Trevor Story, Troy Tulowitzki, Todd Helton and Larry Walker’s skills are being given back to them if we acknowledge that Coors Field has far less of an effect than initially believed. This also calls for a radical reevaluation of Arenado’s overall value. His glove no longer has to be his primary carrying tool. Arenado’s 25.3 fWAR places him as the 23rd best position player since 2012. BP’s new WARP model–using the DRC mixed model as its offensive component–boosts that figure to 41.1, third among all position players in that time frame. I keep using 2012-18 as my window because that is when Trout emerged as the face of the sport. Those first two seasons of Trout’s career were the battlegrounds of old vs. new schools in MVP consideration. An appraisal of baseball players when Arenado has taken the field must be inherently be viewed through the lens of Trout, declared the best player in the world by the cognoscenti ever since he showed up. Indeed, Trout’s 157 DRC+, while smaller than his 174 wRC+, is still the best in baseball since his first full campaign. Ditto his 50.0 WARP since 2012–smaller than his 64.4 fWAR and 63.8 bWAR, but still number-one for the last seven seasons. The massive gap between Trout and everyone else radically shrinks when viewed through DRC+’s lens, as you can see above. Trout was worth nearly twice as much as his closest competitors by fWAR and bWAR; WARP gives him a mere six-win cushion. If we compress our window to begin in Arenado’s rookie year of 2013, then suddenly Trout holds 43.4 WARP to his name, a margin of error’s-worth above Arenado–and only a single ranking over him. The gap has completely vanished. Much hay was made of Miguel Cabrera coming out on top in the AL WARP rankings in 2012 and 2013, thus making many a sabermetrician feel a bit foolish about those debates. Few made any comment about Arenado. Here are his season-by-season NL fWAR and WARP rankings since he debuted. Arenado should have two MVP plaques on his wall, according to DRC+. Instead, his highest-ever placement in voting was last year, when he finished third behind Christian Yelich and Javier Báez. DRC+ claims that Arenado has been criminally underrated despite his already acknowledged gifts; furthermore, he might have simply been the National League’s best player. We must now confront the problem offered by the dichotomy that William James and Jürgen Habermas hoped to resolve: the tension between subjective and objective truth. Matthew Trueblood declared us–and himself–“wrong” in previous assessments of some players, in light of what DRC+ illuminated. Since DRC+ is thought to be so much more descriptive, accurate and predictive than previous metrics, it would be easy to declare those prior metrics to be no longer true. There is a temptation to disregard previously held knowledge in light of new discoveries, and while DRC+ has yet to go mainstream, those who have been convinced of its power may give in to the binary language of true and false. That quote is from a review of a movie made in 2007 about a serial killer from the 1960s. Yet Jones’ sentiment is awfully pertinent to our discussion here, calling us to perhaps humble ourselves before the gaping maw of truth and knowledge. DRC+ builds uncertainty into its very framework. This home run was 92 percent the responsibility of the hitter; that single, 34 percent, and so on. Probability, not certainty, is the metric’s foundation. There are between 10 and 13 players on a baseball field at any one time; they all have some effect on events, but not an entire effect. We must take our best measurement as to the degree of those effects. Uncertainty has other applications, particularly on events of the past. Those who declared themselves “wrong” for supporting Trout’s MVP candidacy in 2012 would perhaps now look back to the facts that they marshaled to their cause, relative to the facts that those champions of Cabrera marshaled to theirs. wRC+ is an infinitely superior measurement of offensive ability than batting average and RBI. Could someone have devised a mixed model with DRC’s components, tested it, and implemented it back then? Possibly. We had only just begun to create the knowledge that entrenched the principles of wRC+. We did not have the ability to conceive, verify, and apply the truths of DRC+ yet. We quickly forget that wins above replacement models do not consist merely of hitting metrics. FanGraphs, Baseball Reference and Baseball Prospectus all calculate positional adjustments and the level of replacement player differently. They use different defensive and baserunning metrics that can often tell wildly disparate stories about a player. Indeed, if you plug in the DRC+ model into fWAR and bWAR’s modeling, Trout remains the superior player in those two seasons. The deliberative process of evaluation we use to verify and accept DRC+ has yet to demonstrate any conclusions about DRS vs. UZR vs. FRAA, and so on. So even the claim to the truth of Cabrera’s superiority in 2012 and ‘13 must be tempered. We remain uncertain, even as we endeavor to find peace with our uncertainty. Even so, we can accept that in November of 2012, absent the evidence of DRC+, the truth of Trout’s superior season to Cabrera’s is valid. That was a statement, observed, applied, and verified for the purposes of proposing a fact about hitters’ skill at the time. DRC+ claims that it is no longer true now, but we were no less “wrong” to assert its truth then. Kris Bryant and Christian Yelich should be no less reduced in our assessments of them in 2016 and 2018, respectively. Arenado may have indeed been the better player in those years, and we may assert that as true now; at the time, we weren’t wrong to reject such a claim. If there was one place where one might pause for reflection and reckoning, it is the certainty with which those past statements were asserted. More knowledge was acquired. It was independently and rigorously applied and verified as true. More of the crime scene was revealed to us, and its initial conclusions were overturned. Yet in our desire to appease our own intellectual vanity, we have sometimes stopped asking questions and left ourselves comfortable with the answers. Knowledge is conditional, and truth is mutable; nothing is fixed in stone. Sabermetrics 1.0 forgot that rather crucial lesson that Habermas put forth: to set aside beliefs in order to deliberate whether they remained true. The sin of the establishment wasn’t its claims of the supremacy of batting average and RBI to be true over better evidence–those statistics tell us something about hitter performance, even if they don’t tell us nearly as much as subsequent metrics do. Rather, they stood in opposition to the development of knowledge; they were certain. While they may now reside in a vocal minority, with little to no authority in front offices or some corners of public discourse, those pundits and columnists unwilling to enter a space of rational consensus can sometimes feel even more harmful, even if they are in the “attack you” stage of Nicholas Klein’s famous speech about human progress.They spent much of the 1990s and early 2000s confronted with new truths, and they sought to silence them; now, they tend to bark loudly on TV. Their influence may have quieted, but it still tends to deafen. We would be wise to heed the lessons their mistakes teach. The deliberations over the evidence of a truth of a claim should never cease. DRC+ may offer a deeper truth about hitting than its predecessors, but it too will one day be surpassed, and done so by the same process from which DRC+ emerged. We must always be prepared to accept that what we know will mutate, evolve, and grow. DRC+ is good, but it cannot conquer the teasing cipher of probability. It is the gradations of probability with which we should move forward. Nothing is absolute. Everything is conditional. We are imperfect vessels searching for perfection. We should be mindful of that, and continue to seek truth that we can honestly assess. It’s what William James would have wanted. It’s what Nolan Arenado deserves. Jonathan Judge provided invaluable research assistance in the development of this article. Evan Davis is a writer and broadcaster living in New York City. He has appeared regularly on MLB Network. Follow him on Twitter @EvanDavisSports and Instagram Instagram. Great article. Thanks for linking back to the Rob Arthur/BP piece. It was a perfect re-read after this one. One area where scientists – especially social scientists – have a blind spot is the justification of their own work. It’s reasonable, since people’s honor and livelihood might rely on the veracity of their findings. Sometimes it’s difficult to remember that even the empirical observer is embedded in the work and not at “high altitude”, as Merleau-Ponty would say. Well done! Having lived at high altitude all my life and traveled regularly to lower elevations, I’ve always suspected that the wear and tear on the body constantly making adjustments during a season can’t help but affect players, also. At any rate, it’s nice to see something so extensive and well written somewhat counter the “He’s just a Coors Field hitter” crowd. Metrics get revamped often, even internally. I remember when fielding metrics were recalculated, which caused Jaffe to recalculate his JAWS and turned his lists of who met the bar for Hall of Fame entry. UZR has done some odd things to Rockies defensive metrics over the years too, specifically on Arenado and LeMahieu, and valued them less than one might expect. That’s why its best to use multiple metrics and not just say “I use wRC+ and therefore I’m right” types of arguments. because each metric further fleshes out the picture of what the truth may be. Nice try with your all-American nom de plume, Cistulli. This is the nicest thing anyone’s ever said about me. Very nice post! I’m sure you’re aware of Isaac Asimov discussion about this, The Relativity of Wrong (https://chem.tufts.edu/answersinscience/relativityofwrong.htm). The subject is exactly like the progression of baseball stats (also, the Earth is not exactly a sphere, but a slightly flattened sphere).